In Indonesia, an International Medical Corps health worker vaccinates a 20-day-old baby. Photo courtesy International Medical Corps. In a world ravaged by seemingly insurmountable health challenges and innumerable disease epidemics, the eradication of polio remains uniquely attainable. Today, due to concerted global vaccination and educational campaigns, 16 million people are walking, who would otherwise have been paralyzed. If successfully eradicated, polio would become only the second human disease in history to be eliminated from the world (smallpox is currently the only disease that has been eradicated by vaccines). This achievement largely depends on the three countries in which polio still persists—Afghanistan, Nigeria, and Pakistan—and the tireless frontline health workers there who carry out surveillance and vaccination programs for children in remote and underserved communities. In Nigeria, after more than two years without any reported cases, two children became paralyzed from wild poliovirus in Borno State in August 2016. The resurgence of the disease can be directly linked to Nigeria’s ongoing conflict and displacement, which has left millions without access to health care and lifesaving assistance. Acute hunger, high maternal and child mortality, poor sanitation, and pervasive gender-based violence are among the many dire conditions that contribute to the vulnerability of Nigeria’s children as polio reemerges as a threat. In Nigeria’s Borno and Kano states, International Medical Corps works tirelessly to vaccinate children under five against polio, while mobilizing caretakers of children less than one year old for routine immunization. We also train and mentor local government staff and volunteers to tackle community suspicions about the vaccination campaigns so that they are receptive to having their children vaccinated. 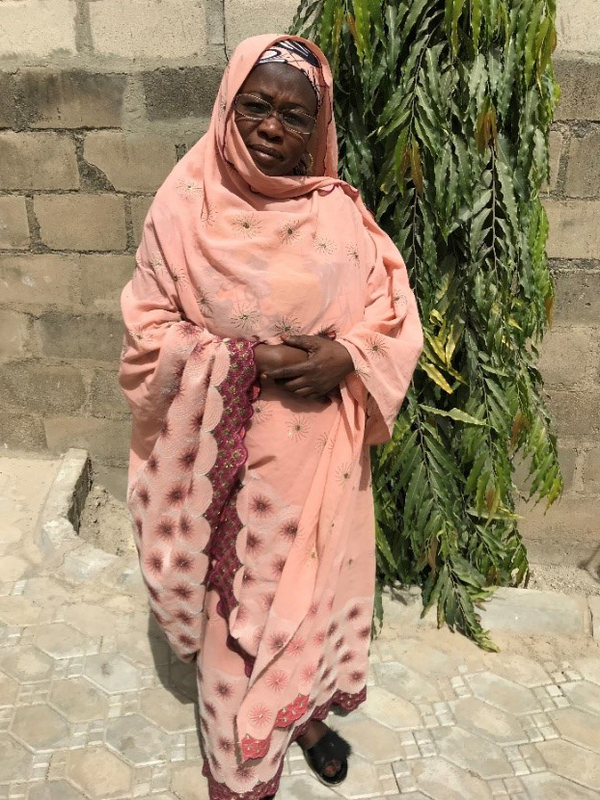 Bawa Gana has worked with International Medical Corps for the past two years, serving under the Core Group Polio Project (CGPP)—a USAID-funded consortium of NGOs actively supporting polio eradication in seven countries. CGPP focuses on community-based surveillance, social mobilization for vaccination campaigns and routine immunization, campaign planning, independent campaign monitoring, vaccine registers, and tracking children’s vaccinations. Through efforts of VCMs such as Bawa Gana, International Medical Corps and local partners under the CGPP project have immunized more than 300,000 children living in Northern Nigeria. This World Polio Day, we are closer than ever to eradication—but we must not lose sight of the work it will take to get there. By helping to train and equip frontline health workers from local communities to be first responders, we can prevent children from contracting the disease wherever and whenever a threat emerges—and end this disease once and for all. Learn more about International Medical Corps’s polio immunization efforts on the frontlines in Nigeria. Photo of Bawa courtesy of International Medical Corps.